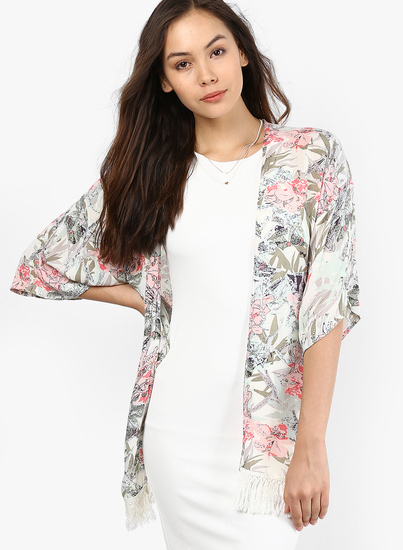 Dress the kimono-style that adds oomph to your look instantly. We love how this one element takes your appeal to a whole new level, be it a casual or a dressy occasion. Uplift and update your style with our top picks of the hot trend this season. A casual chic look. Works best with denims. 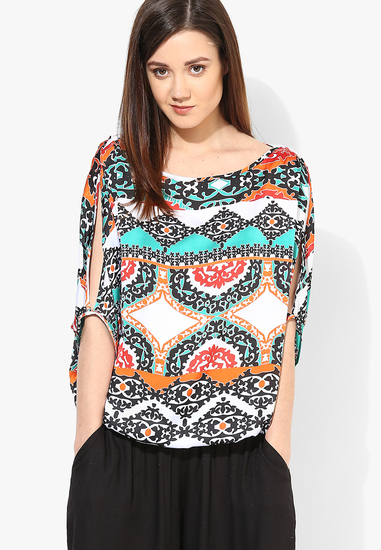 A breezy printed number. Team this with a pair of white jeans and thong sandals. Glamorama with the LBD. So classic..so glam, add a pop of color in either you shoes, bag or make-up. Boho beautiful. Pair with palazzos and flats. Floral fetish. Team with over tops/dresses for it offers a variety in pairing options. A more structured style. Team this over dresses or denims for the occasion. Beach love. A chic sling bag with flats for that feminine appeal. 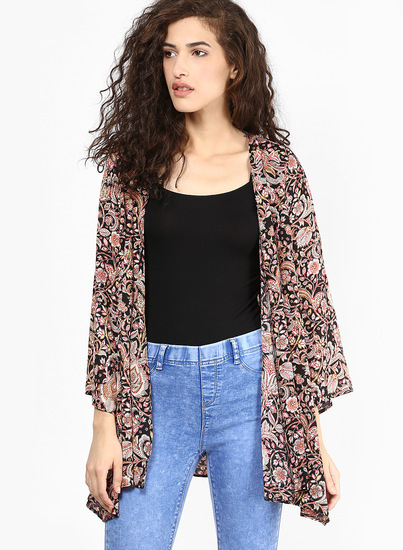 Chic Kimono. 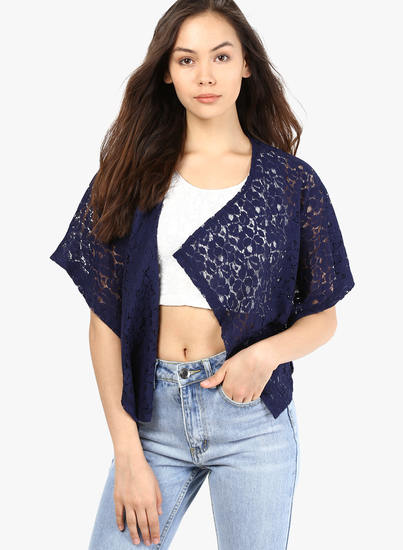 Pair this with denims or palazzos casually. With the hot fringe trend. Team this with dresses, denims or shorties and boots. Buy the fringe jacket here. Date night diva. Pair up with white heels and a white envelope clutch. Which kimono style do you like? Share with us in the comments below.